A monorail hoist with twin trolleys for high load capacities and long hook paths. Cross travel trolley designed for direct drive without exposed reduction gearing. As the load is distributed over eight wheels, ordinary rolled section beams can be used for monorail track applications. 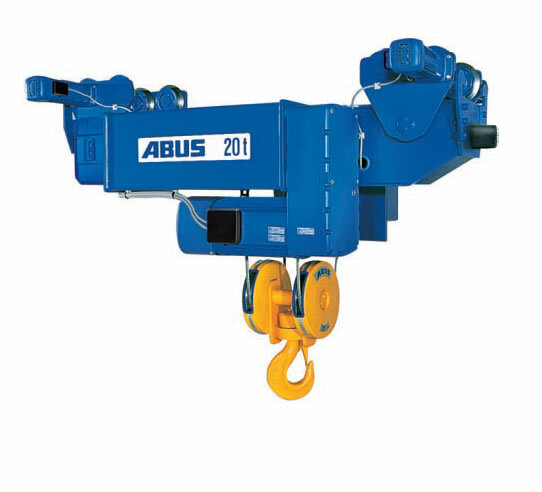 With short spans, even high-load cranes can be operated on ordinary rolled section beams using this hoist. Load capacity range: 6.3 t to 25 t.